September is blood cancer awareness month, and the Leukemia and Lymphoma Society is doing all it can to spread the awareness of blood cancer. 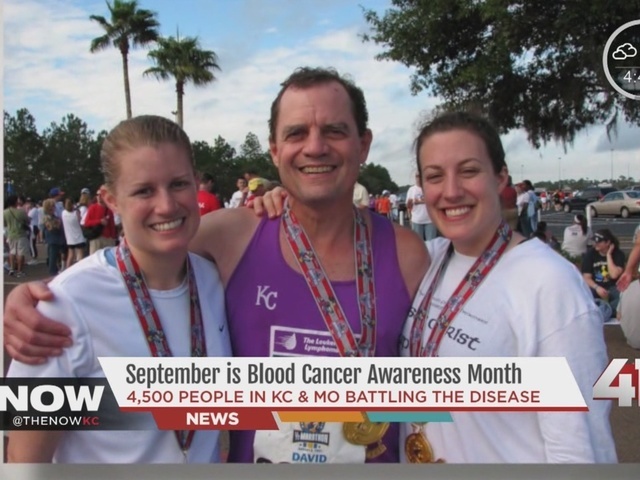 Local neighbors are sharing their story with us on how they dealt with blood cancer. Survivor, David Enslen, says fighting cancer is a team effort. “Fighting cancer is a team effort, it’s yourself, your immediate family, and extended family,” said Enslen. According to the Leukemia & Lymphoma Society (LLS), an estimated 1,185,053 people are living with, or are in remission from, leukemia, lymphoma, myeloma, or another form of blood cancer, with an estimated 156,420 new cases expected to be diagnosed in 2015. You can help raise awareness of blood cancer by taking part in The Light The Night Walk. It's a fundraising campaign benefiting LLS and their funding of research to find blood cancer cures. To find out more about The Light The Night Walk, click here . Alyson Bruner can be reached at alyson.bruner@kshb.com .